Latest generation thermogenic agent with 7 extreme ingredients that act synergistically. Great thermogenic and lypotropic effect. The most advanced thermogenic agent of its type. Myristica fragrans, is the nutmeg seed that contains a powerful compound called Myristicin, which contributes to the unique sensorial experience, sharpening the senses. Salvia officinalis, boosts the effect described above, leading to mental clarity and energy, despite the calorific reduction in the diet. 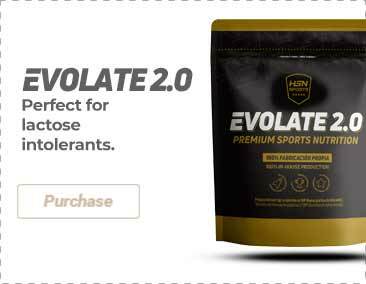 Caffeine, compound that has been studied and clinically proven to be an activator of thermogenesis, increasing energy, and improving focus and cognitive capabilities. Green coffee, high antioxidant power, diuretic and thermogenic effect. Promotes the post-prandial regulation of glycaemia after eating, and minimizes the accumulation of fats. Green Tea, a great source of polyphenols, such as EGCG, demonstrating its effectiveness when it comes to mobilizing fatty acids whilst also playing an antioxidant role. Cocoa theobromine, extract of cocoa seed that acts synergistically with caffeine, improving thermogenic and lipotropic effects, as well as having appetite suppressant connotations. ALA (alpha lipoic acid), is a fatty acid the function of which is to help with the regulation and stabilization of glycaemia, as well as being considered to be the greatest antioxidant. Vegetable capsule (hypromellose, titanium dioxide), silicon dioxide. As a dietary supplement, check tolerance of the product. Day 1 and 2 - 1 capsule a day, Day 3 onwards - 1 capsule twice a day. Take 1 capsule 30-60 minutes before the two largest meals of the day. With tolerance verified, add 1 capsule as soon as you get up. Do not exceed 3 capsules a day.